It is important to realize that when you are being marketed to for life insurance that it is typically an ad from only ONE company. Which means your choices are going to be severely limited. Now compare that with TermLife2Go. We are an agency representing the top rated best life insurance companies and the top rated best no medical exam companies. We provide options from dozens of top rated companies in order to help our clients locate the best life insurance rates for those who have had a cardiac bypass, as well as most other health issues. Give us a call today for a free consultation. When you apply for life insurance, your entire medical history comes under scrutiny. Life insurance agencies will consider even the smallest procedure and its repercussions prior to underwriting your policy. If you have had a major procedure such as a cardiac bypass surgery, then you can expect to undergo a robust application process. Some life insurance companies may outright refuse to insure a person who has had cardiac bypass surgery, while others may consider your current state of health before making a decision. To increase your chances of being approved for a life insurance policy, then keep reading. What is cardiac bypass surgery? Sometimes arteries in a person’s heart get clogged, thus disrupting essential blood flow. In order to correct this, cardiac bypass surgery, also known as coronary artery bypass graft surgery, is performed to build a new route for your blood to flow through so it doesn’t have to worry about the clog. This can be done by rerouting your heart arteries or by using a part of a leg vein to create a new passage altogether. As you can imagine, any time you have surgery on a major life-giving organ such as the heart, it is a cause for concern for a life insurance company. It is their job to assess your chance of early mortality, and any sign of compromised organs could impact how long you live. However, many people have heart bypass surgery and then go on to live long, healthy lives. This is why life insurance carriers often underwrite policies for people who have undergone cardiac bypass surgery. How do I know if I will qualify for life insurance after bypass surgery? Every post-operation situation is different, but it is possible to assess your odds of obtaining high risk life insurance coverage after heart bypass surgery. Essentially, it depends on the reason you got the surgery in the first place, how many blocks you had, and how your health is now. Sometimes people elect to get cardiac bypass surgery to improve the condition of their heart. Patients who have undergone elective cardiac bypass surgery have a higher chance of obtaining a life insurance policy than patients who have undergone emergency cardiac bypass surgery. Also, it is fairly common for people to have more than one bypass. Multiple bypasses may be done during the same surgery or during different surgeries. Either way, when it comes to applying for your life insurance policy, the less bypasses the better. What will happen when I apply for life insurance? It is always a good idea to know what you are getting into prior to applying for life insurance. When you have a major medical issue in your past, then your application process will be more extensive than someone with minor or no health issues. It is almost certain that you will be asked to undergo a physical check-up if you want a standard policy. Additionally, a life insurance agent will likely ask you many questions pertaining to your lifestyle and your cardiac surgery. To help you prepare, we have put together a list of questions a life insurance agent may ask you when you apply for a life insurance policy after cardiac bypass surgery. When did you have heart bypass surgery? Have you ever had a heart attack? If yes, how many and when? How many blocks have you had? Have you been diagnosed with heart disease? If yes, when? What kind of medication are you currently taking? Are you currently or have you ever taken medicine to reduce plaque build-up in your heart? When was the last time you experienced chest pain? What are your dietary habits? How often do you exercise? What kind of exercise? Do you have a stressful job/family life? Do you have any other health problems that could compromise the health of your heart? Are you taking any other medications not related to your heart that could compromise the health of your heart? A life insurance agent or company underwriter may ask you any or all of these questions, or even other questions to assess your current health. If you appear to be in pretty good health and you live a healthy lifestyle (no smoking or drinking, regular exercise, normal weight, etc), then you could very well qualify for a life insurance policy. However, if you do not seem healthy and/or you live a lifestyle that could have a negative impact on your heart, then you may not be eligible for life insurance. Please consider burial life insurance from the best final expense or burial insurance companies if you have a more serious type of health condition. Which life insurance company is the best for cardiac patients? It is not possible to make a standardized life insurance company recommendation for every heart patient; every patient has a unique story and it’s very important to know that story prior to advising someone which insurance agency to use. If you are a heart patient who loves snorkelling and have never smoked a day in your life, the best life insurance company may be different from a heart patient who exercises regularly and enjoys drinking alcohol. Further, your budget and expectations for a life insurance policy play an important part in determining which company is most suitable for you. So how does a regular person make sense of all these variables and conclude which company to apply to? You can spend hours on the internet and still possibly have no idea, or you can call us at TermLife2Go. We are life insurance experts with vast knowledge of the various policies offered by dozens of the best life insurance companies in the United States. We start by learning about you; your life, your health, and what type of life insurance policy you desire. We then use our extensive knowledge and make customized recommendations that fit your needs and expectations. We are not affiliated with any particular insurance company, freeing us to always make recommendations that are right for our clients. If you are interested in a free consultation by TermLife2Go, then please contact us today. 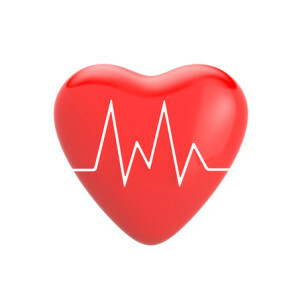 Thank you for reading our article, How to get Life Insurance after Cardiac Bypass. Please leave any questions or comments below. Good day, my name is Andre G and I live in Troy, NY. I am a 58 year old man who had a heart bypass surgery and valve replacement on Oct/26/2016. I am currently employed. I no longer have life insurance and would like to see what my options are given my current situation. I was a smoker for 30 years and quit 3 weeks prior to my surgery. Hope you can provide me with some options. I’m not looking for a huge amount but at least something to help when I pass. Thanks for reaching out to us. From the sounds of it, it looks like a guaranteed issue life insurance policy would be your best bet as of now. That being said however, as time passes and you’re able to demonstrate a clean bill of health (tobacco free as well), it is conceivable that you may be eligible for additional types of policies later on. Previous Post: Life insurance with Charcot Marie Tooth Disease.